To prepare for operations against sophisticated enemies, the Army, and military writ large, are developing capabilities to provide navigation and timing in the event GPS signals will be denied by enemies. 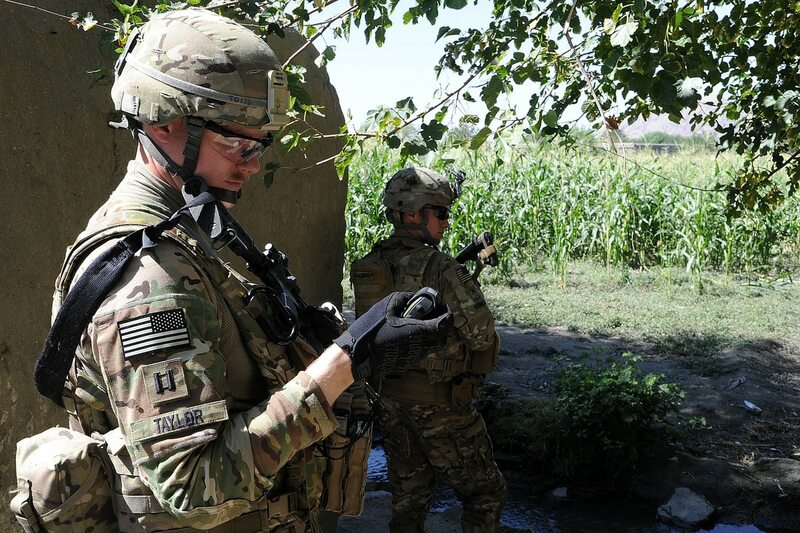 As part of the Army’s modernization process, the service created a so-called cross functional team (CFT) focused solely on bringing forth assured position, navigation and timing (PNT) solutions to the force faster. These systems need to be simple to use, agile and flexible because “solders should not have to figure out a whole new system or wait years for a better device,” he added. Maybe most importantly, these solutions must be able to pace the threat in an environment environment changes constantly. “Our adversaries are becoming more sophisticated, it is essential the Army outpace the threat and maintain overmatch,” Nelson said. conducting experiments and delivering requirements documents that are aligned to the modernization priorities. increasing the situational awareness across the radio frequency spectrum to enhance timely decision making for commanders. The Army has several concurrent lines of effort related to PNT. Aside from the PNT team, the Army’s Rapid Capabilities Office is working to deliver short-term PNT solutions that help solve urgent capability needs for soldiers in certain theaters across the world. Moreover, the Army’s program manager for PNT is also focusing on longer-term, program-of-record-type solutions to field to the larger Army to solve these challenges in a more wide-ranging fashion. The office is still working its way through an acquisition strategy, according to some sources. 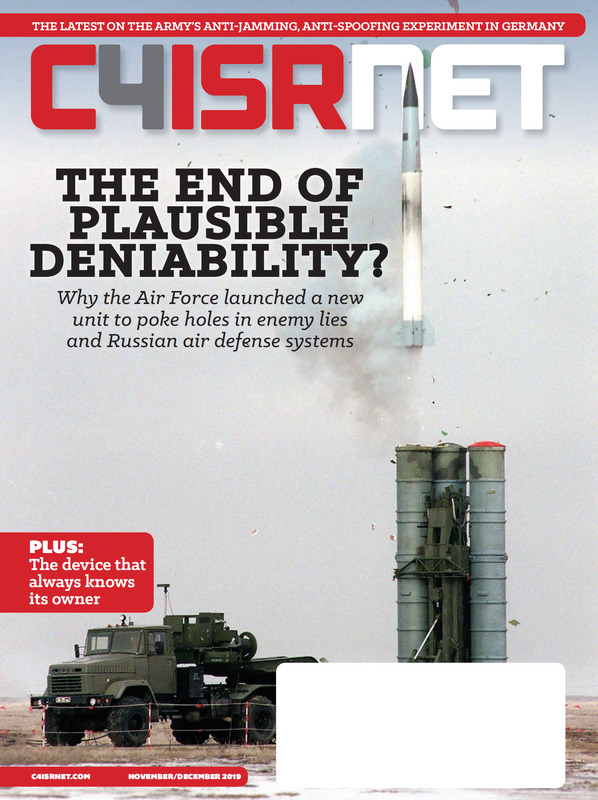 The Army is concerned about the capabilities of near-peer actors to be able to deny GPS signals to forces and systems in the terrestrial world. Nelson told reporters at the symposium that his team is working in coordination, not competition with these other efforts. “I see a lot of what the RCO’s doing especially from a mounted PNT standpoint as really the trailblazers in setting the ground work where we…can take the mounted application that they’re working into a broader force,” he said, adding he has personnel embedded with the RCO team today working on the mounted solution. The main focus of Army PNT solutions to date has been on delivering ground-based vehicle mounted capabilities. Nelson noted the Army must integrate PNT across 90 platforms and 50 different clients. Despite the fact the Army is focused on ground based systems, Leidos, during a demo at the symposium, showed their solution for small unmanned aerial systems. Using a vision based algorithm, Leidos’s solution, which doesn’t require any new hardware to drones, takes live sensor images from the camera mounted to the platform and compares it to stored satellite imagery databases to provide location in the event GPS is lost. As compared to other PNT methods, such as the use of inertial devices, the vision based navigation provides an error of one to ten meters as opposed to 10,000. Given that the current Army effort is more geared toward ground vehicles, Leidos’s work on the air-based PNT side has focused primarily in research and development with the Army and Air Force.